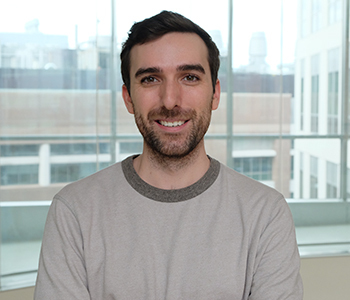 Gordon is a research associate in the Sabeti Lab working on several projects, including single cell and bulk RNA sequencing efforts to explore the pathogenesis of Ebola virus, and the development of CRISPR-based diagnostics for tick-borne diseases. Gordon graduated from Bowdoin College with a BA in Earth and Oceanographic Science and Biology. His previous research experience includes projects focused on Earth’s climate system, with an emphasis on biogeochemical cycles, paleoclimate, and atmospheric and oceanic fluid dynamics. Prior to joining the Sabeti Lab, Gordon worked as a clinical research coordinator in the Division of Infectious Disease at Massachusetts General Hospital building a cohort of patients for ongoing and future research on tick-borne diseases.